Jennifer McGhee Siler, International Vice President of Communications, shares when she knew ADPi was her path through life after first not knowing anything about sororities. When did you decide ADPi was right for you? Was it before recruitment started, after the first round, after you cried at preference, the first time you walked into the house, or when by happenstance you met an ADPi? I went into recruitment with an open mind. After all, no one in my family was Greek, and I had no ties or emotional attachments to any group. In the 1970s, Middle Tennessee State University was a much smaller campus than it is today and many of the students lived in nearby small towns and went home every weekend. I didn’t have that option, so going through recruitment was a way to enhance my campus experience. But, little did I know how important that decision would be to the rest of my life. You never know when you might meet a person that will influence your life. It was a chance encounter on the back of a hay wagon at an event prior to recruitment that introduced me to a new friend. She was fun, easy to talk to, seemed genuinely interested in me, and we seemed to have a lot in common. I think she mentioned she was in a sorority, but still being unfamiliar with the system, I didn’t make the connection. Recruitment started and I could tell from the first door song and the happy smiling faces as I walked into the ADPi Chapter Room that this group had something special. I felt welcome and comfortable. They made everyone feel at home, and I remember thinking that this was where I wanted to be. And imagine, my surprise when my friend from the hayride was the last person I talked to as I left the room. And, for the rest of recruitment, she made sure I met everybody in the chapter. I don’t remember if I cried at the preference round, but I probably did. All I knew was that I had found where I wanted to be and friends and sisters that I wanted to get to know better. You know how the story ends, and you can probably guess that my hayride friend became my Diamond Sister. Although a number of years separate us now from those college days, whenever we have the opportunity to see each other, it is like no time has passed. I sometimes wonder what my life would be like without ADPi. I wouldn’t have met so many friends and sisters around the country with whom I have an instant connection. My college days would have been much different, still a wonderful experience, but not as enriched with memories and sisters. Would I have ever decided on a major without my sorority sisters to help me make that important decision? I would have missed leadership opportunities, would not have experienced community philanthropy, would not have learned how to meet and talk to people during recruitment, and missed making so many special memories. Thankful is one word that always comes to mind when I think of ADPi—thankful for the lifetime commitment, for so many sisters, for opportunities as a chapter member for leadership, and for personal growth. As an alumna, I continue to meet sisters and always have that instant connection, and as a member of The Adelphean staff for 30 years I was able to do what I love most for my sorority. And now, I am most thankful for the honor and privilege to serve on Grand Council. So, as you get to know the new Alpha members in your chapter, encourage them to be the best they can be, and to capture the memories of the chapter and continue those memories into their alumna years. ADPi is a part of you forever, it is love shared in joy and sorrow, it is special experiences for a lifetime, it is a way of life and values to be proud of, an experience that shines bright like our diamond badge, and it fills me with honor to say, “We Live for Each Other” and for Alpha Delta Pi. I had heard this sweet story before, Jennifer, but so glad that all of our sisters get to hear it from you! 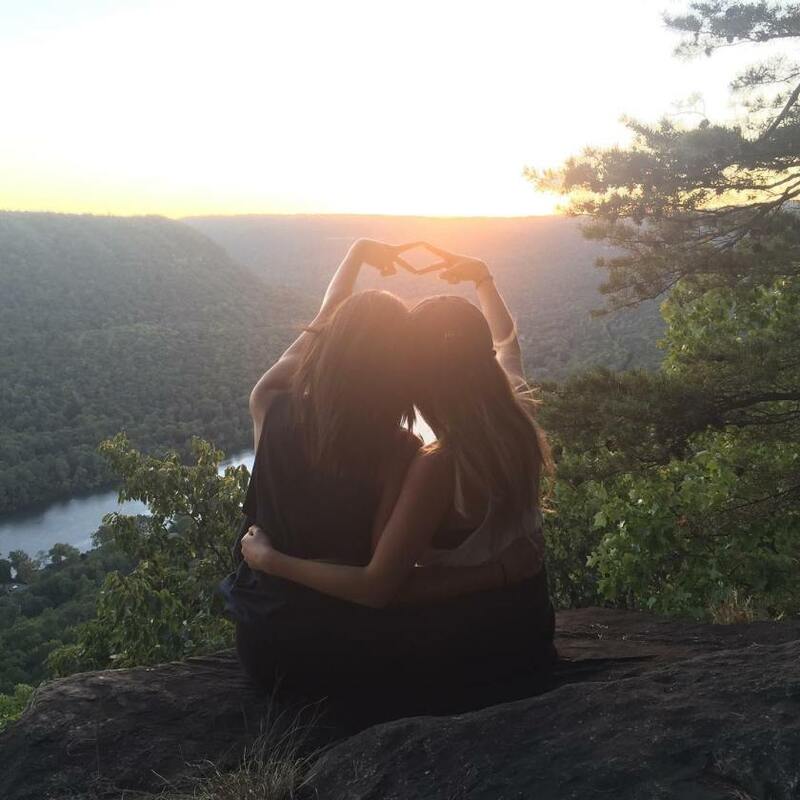 I am glad that you found your home in ADPi! You’ve positively impacted my life!